We have all heard those famous words. They are often used simply to disparage teachers. Teachers do not deserve this or need it. Those are some seriously true words and I have learned them many times over in my life. I had to learn them more than once because my teachers were never the greatest… or I was a horrible student… or some combination of the two. If you know me well, you will definitely be laughing at this point. Now I admire teachers in the public education system. I think they are nuts, but I admire them. They get put on the front line of a war on illiteracy being led around by politicians who often aren’t any more qualified for the job than a high school janitor. I can only think of one politician who might read this post but Cathy is awesome and knows I am not talking about her… but this post is about Teaching, not teachers, and not the politicians that they work for. We will save the rest of that humorous joust for the next home schooling post. I have been teaching most of my adult life. Most kids know instinctively that teaching is the best way to learn something. They do it on the playground, in the library, on the skating rink and in the real world everywhere. Where do these kids, so full of passion, disappear to? They grow up thinking they can help teach anyone, anything and then someone tells them that they can’t. I so hate that damn C-word! What right do I have to talk about someone’s ability to teach? I mean I did drop out of college right? I am not a teacher right? Wrong. Now I may have less experience than professional educators but I might have a little more experience than some as I have spoken on stages from Texas to Toronto and to groups from half a dozen individuals to five thousand eager students. 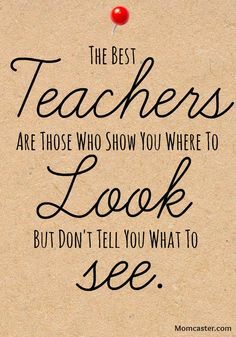 Yes, that stuff gives me experiences and a new skill set (and often a pay check) but the things that make me a great teacher are usually the things I do for free. Being a home schooling parent of nine kids has been a true highlight of my life. Even if all my daughters’ memories revolve around me stopping their girl’s night out by teaching four young ladies about the phases of the moon for 60 minutes… I had a blast. The important thing about that night is not whether those girls remembered how the moon changes phases but that it does! If they ever get stuck in the cash cab with a question about a gibbous moon, it is more important that they remember how to reach Chelsey and Chantell’s father than anything I said that night (that call-a-friend can be very useful if you have a friend who knows the answer). Now I can promise you that I taught them all that night with passion and that alone is enough for me to be confident that they will remember it. I also teach computer classes to seniors at our local library, run computer user groups in three cities in two provinces, work in our 3 year-old room at church and take pride in helping volunteers at one of the largest children’s festivals on this planet every year. If that wasn’t enough, I take every opportunity as a volunteer leader for Scouts Canada to both learn and teach and do several presentations a year with that organization. And this brings us to what I need to get off my mind about teaching. A good teacher does not need a degree or diploma (unless they want to work for the government). They do not need to have a certificate to say that they are allowed to teach this course (except they might actually need a certificate to get you one… which isn’t a bad thing if you take a CPR class). What do they need to be a good teacher? experience – while not always more important than base knowledge, this gap is where most public educators get nailed by the humorous quotes… the higher the teacher climbs, typically means the larger the gaps they have. Great teachers understand this difference between theory and practicality and bring in outside presentations to fill gaps (that is where people like you and I step in). passion – not just for the material but for teaching. A teacher with no passion for the material but filled with passion for teaching will get a message to the students, just maybe not the one they were paid to deliver. A teacher with passion for the material but none for teaching will come across as a very knowledgeable and passionate person about their subject matter, but none of the students will remember what that subject was. 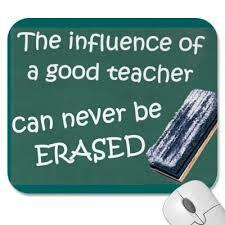 Phenomenal teachers love and understand knowledge, experience and passion and how important balance is. With all my experiences teaching everything from changing oil and changing diapers to installing software and servers, I have learned a few lessons. The only one I want to talk about today is that you need to know your priorities when looking for a good teacher. Usually when people make lists they say “in no particular order” but there was an order for those three points above. I wasn’t going to say anything because the subject matter really depicts the order but for the most part, in my life, experience is always more important than knowledge and passion is more important than both knowledge and experience. If you had to take a course I taught, and you knew I was teaching it because I knew the material and had passion for teaching it but I told you that I didn’t have a piece of paper saying that I had ever actually taken the course. Would you approve? What if the course was taught by someone who took it before and had a piece of paper to prove it, who had the knowledge and possibly the same experience but nowhere near the passion. Would you feel differently? You should. 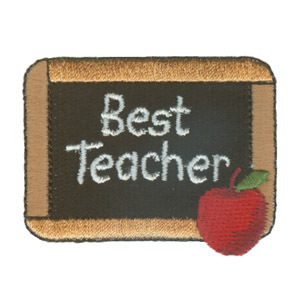 You should be standing on your chair screaming for the best teacher, not the “proper” teacher. You should be yearning for education every day… always look for any opportunity to learn something new. It is the spice of life!. The best education usually comes from those with passion. I am more than happy to say that in Scouting, I have found an organization that feels much the same way that I do. They value education and allow online training but also promote offline courses where people learn as much from the other attendees and class environment as they do from the curriculum. They allow these courses to be taught by volunteers with the experience and passion even if they don’t actually have the course already and that is a huge step in the right direction for a non-profit organization to build a system of teachers teaching teachers. Go scouting!